Thank you for your interest in CUEMS membership! CUEMS holds two membership drives per academic year, with one each at the beginning of the fall and spring semesters. A link to an online application will be posted on our website, as well as dates and times for information sessions. Membership candidates are required to attend one information session to ensure a decent understanding of our organization’s requirements and responsibilities. Completion of the application and attendance at one information session qualifies a membership candidate for an interview. Interviews are generally held in the first few weeks of the semester, following the deadline for the application. Most applicants will receive a first-round interview; exceptional candidates will receive a second round interview. Interviews are hosted by current members and officers of CUEMS. 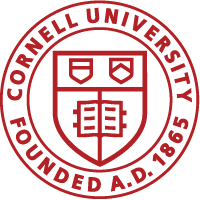 Membership is open to all members of the Cornell community, including undergraduate and graduate students, faculty, staff and alumni. CUEMS boasts a diverse membership students, faculty, and staff, who all come from different walks of life. While we look favorably on applicants with experience, it is by no means a prerequisite, nor does it guarantee acceptance. Many of our most active and involved members had no prior experience when they joined the organization. The most important qualities we seek in candidates are genuine interest and enthusiasm for serving our community. We take pride in the fact that we are not simply a congregation of pre-medical students; our membership consists of students from all schools and colleges that compose Cornell University. We are looking for applicants that have the time, energy, and dedication to excel and advance within our organization. Strong interpersonal skills, openness to new ideas and constructive criticism are also important values we seek in applicants. Please do not apply simply to build your resume and meet minimum membership requirements. EMS is not by any means a ticket into medical or graduate school. We require dedicated members to learn and maintain the skills of emergency medical services in order to provide exceptional service to our community. Attendance at weekly meetings held Sunday evenings. Attendance and successful completion of New Member Orientation classes; the didactic portion is usually held each Sunday afternoon, with a practical lab component held at the convenience of the class of candidates. Fulfillment of a designated number of shifts per semester; candidates are expected to be in the building and prepared to learn during these shifts. Certification as a New York State Emergency Medical Technician within one year of joining. These requirements ensure that our members actively contribute to the organization and are current with the most recent protocols and skills. While CUEMS is student-operated, we maintain professional standards and expect our members to behave accordingly. Please take all of the above requirements into consideration before applying. As we are forced to turn away many qualified applicants, we ask that you only apply if you are committed to becoming a dedicated member of CUEMS. Unfortunately, due to the large volume of applications we receive each semester and the significant amount of time and effort spent in training our new member candidates, we can only accept a limited number of applicants each membership drive. We strongly encourage applicants that are not accepted to reapply during a subsequent semester. We look favorably on applicants who seek additional training prior to reapplying, though this is not a prerequisite for membership. We appreciate your interest in our organization, and we look forward to your application! Please contact our Membership Officer via email if you have any questions, comments, or concerns.